The bicycle mirror with a different point of view! Bike-Eye mounts against the head and down tube. Straps in place with zip ties. Not for bikes with large saddle bags or panniers. Road tested and approved by Elton Pope-Lance. The best cycling mirror on the market. Mounts on eyeglasses or helmet. Can be mounted to a helmet with a zip tie(not included). Made of stainless steel and brass frame with an optically correct acrylic mirror. Three position adjustment for the perfect fit. 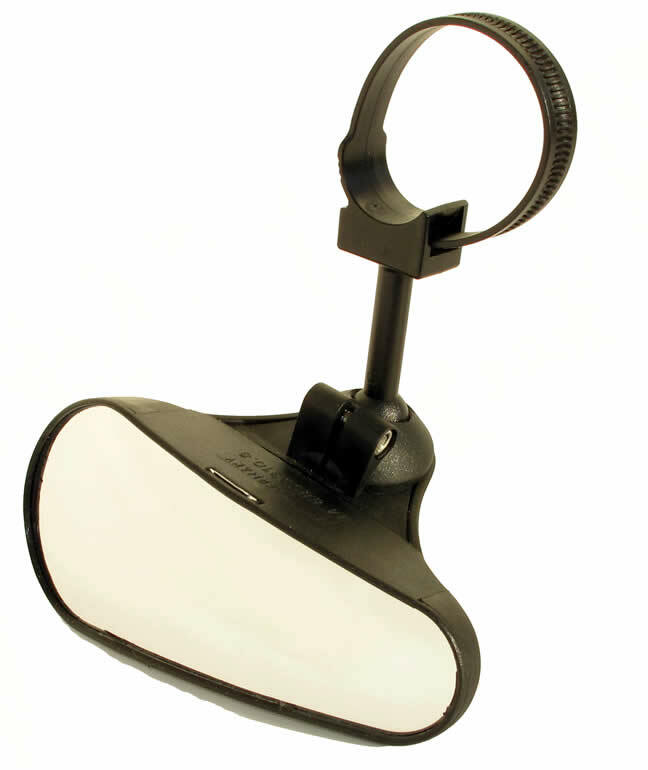 This Ultra Light Bike Mirror is designed for commuting, touring or just about anytime you need to increase your line of vision. 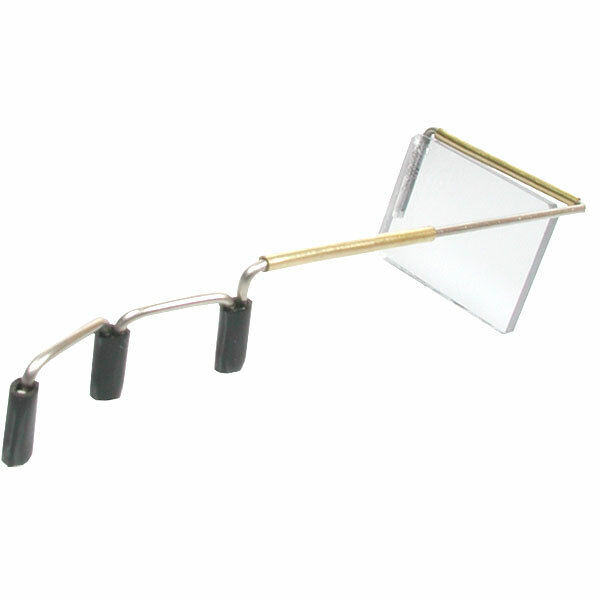 Unique clamp allows mounting on handlebars, bar-ends, fork blades.